Mortgage Rates Spike After Trump's Election—Should You Lock in Yours Now? In the wake of Donald Trump‘s surprise win at the ballot box, there have been heated demonstrations as well as celebrations, turbulence in the bond markets—and higher mortgage rates. 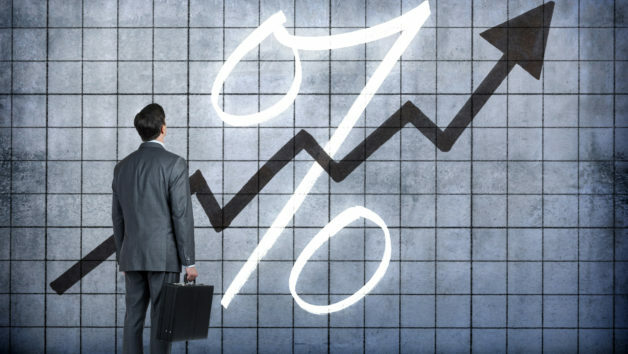 Rates climbed nearly 0.2% since the election, to 3.95% for 30-year fixed-rate mortgages of $417,000 or less, according to the Mortgage Bankers Association. That’s the highest they’ve been since January. And while that may not sound like much, it can add up each month in higher mortgage payments. So should aspiring homeowners rush to sign on the dotted line for a home to lock rates in before they go up even further? Or are they expected to fall? So What's Behind the Explosion of Mortgage Refinancing? Although rates may continue to rise, they’re not expected to keep shooting up. Many buyers are clearly spooked, as evidenced by the number of mortgage applications dropping by about 10%, according to the association’s Market Composite Index, which uses numbers that are not adjusted for seasonal fluctuations. Meanwhile, refinance requests from existing homeowners fell about 11% as the lower rates they were hoping for dissipated. Mortgage rates are rising because they typically follow the bond market. After Trump’s win, many investors got out of bonds and into stocks under the expectation that the economy will improve under his presidency. That could increase inflation, which could lessen the value of the bonds. Hence, the rise in mortgage rates. For comparison’s sake, Frommeyer had a 16.75% mortgage rate when he bought a home in 1979. That’s more than four times what rates are today. But those extra fractions of a percentage point still add up. The increase could tack on about $40 to $50 a month to 30-year, fixed-rate mortgage payments on a $200,000 home, he says. And the hike is also expected to affect borrowers’ debt-to-income ratios as buyers are now on the hook for bigger bills each month. This could lead to lenders awarding smaller loans. Aspiring homeowners shouldn’t throw up their hands and give up, though. Rates are always fluctuating. Clare Trapasso is the senior news editor of realtor.com. Interested in purchasing a new home? Contact me to get an accurate loan scenario.